Redesigned in 2012. 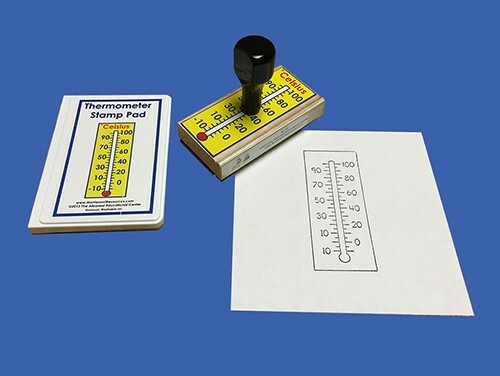 This Celsius Rubber Stamp is used by the students for making their own booklets. The Ink pad (included) is child-safe, non-toxic, washable, water-based ink.